The BC-1 is a 2-channel preamp with one clean channel and another dedicated overdrive channel. The clean preamp is controlled by the top row of knobs that include: LOW, MID and HIGH for sculpting the tone, plus GAIN and LEVEL to control… Well, gain and level. All of these knobs behave exactly as you would expect. 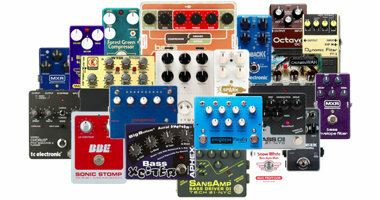 The knobs in the middle row are named identically to the top row, but the GAIN knob introduces dirt – from subtle crunch to roaring overdrive. However, you also get 2 toggle switches that add to the control and flexibility of the drive circuit. 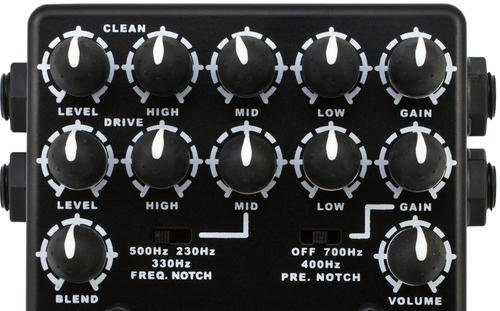 The first one is connected to the MID knob, and it allows you to define a notch filter target frequency – choose between 230 Hz, 350 Hz and 500 Hz. Similarly, there is a notch filter toggle switch that affects the frequency spectrum right before your signal enters the gain stage of the drive circuit. You can choose to leave it OFF, or give it a notch down at either 400 Hz or 700 Hz. The lower row of controls holds 2 knobs: BLEND and VOLUME. The BLEND knob mixes the signal between the two channels (clean and drive). If you dial this knob fully counterclockwise, you get only the clean channel – and vice versa. The VOLUME knob sets the master output independently of the various gain and level settings. Finally, the footswitch on the right allows you to switch between HI and LO, which relates to the input sensitivity, and the left-side footswitch punches in and out the DRIVE circuit. This review has 4 rounds of sound clips. The first round focus on the clean preamp circuit only, and in the second round the drive circuit is being brought in very gently, mostly adding a touch of tube-like warmth and clarity to the table. No real drive is introduced here. These rounds feature a 1972 Fender Jazz bass in a short and funky fingerstyle piece. The third round is a Precision bass played with a pick, and after a few clean sound clips, various degrees of crunch are added. In the fourth and final round, we enter the overdrive territory from medium to full on. 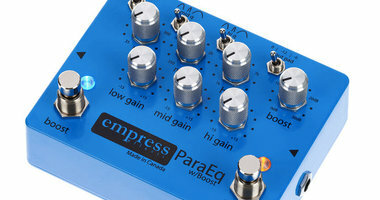 There is no doubt that this pedal is extremely versatile. With 2 circuits with independent tone controls, 2 toggle switches to tailor the drive section even further and a blend option, there are tons of tones hidden in this pedal. And I found it possible to create great-sounding clean tones, smooth blends with just a touch of drive underneath, crunchy tones breaking up nicely and of course some pretty mean overdrive tones. If you look at the side panels, there are even more features to be discovered on the BC-1. On the left side panel you will find 3 additional outputs: DI, CAB SIM and CTRL OUT. You can use the CAB SIM to feed a PA system and the DI output could be sent to a recording system. The CTRL OUT is for external MIDI control. On the right side panel, you also get a SEND and RETURN sockets so you can insert an external effect unit. Also, adding to the versatility, the Bass Crunch accepts 18V only, but you can power it form a dedicated power supply or you can feed it internally from 2 x 9V batteries. The build quality seems high. The knobs are very firm and all connectors and switches feel solid. As mentioned above, it is not possible to bypass this pedal entirely, which I find a rather strange design decision. If you are looking for that particular core tone and plan to use the pedal as a fundamental tone-sculpting tool anyway, this is of course no problem. However, I do like to be able to punch my pedals in and out completely. An alternative to this could be to use an external pedal such as the Boss LS-2 Line Selector as a bypass solution. While it is nice to have the HI LO footswitch on teh BC-1, I would probably have preferred a dedicated bypass footswitch. I contacted AMT about this, and in fact the BC-1 is meant as a preamp (in the shape of a pedal) that should feed directly into a power amp. In that context, the design does indeed make sense. However, I hardly know any bass players who use separate preamps and power amps, but rather a bass head or combo that combines pre and poweramps. But regardless of how you want to use the BC-1, you can indeed use it as a ‘preamp pedal’ in the same way you would use, say, an Aguilar Tone Hammer, SansAmp Bass Driver, MXR Bass Preamp, etc. – in between the bass and your head or combo. You just can’t bypass it, but will have to make it a core part of your tone, which may in many cases be exactly what you’re looking for anyway. I did notice a bit of audible backgrouond noise. 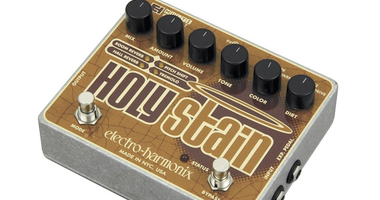 I am not sure whether this is caused by the many gain stages (I am a pedal geek, not an engineer), but I guess it could be part of the explanation. 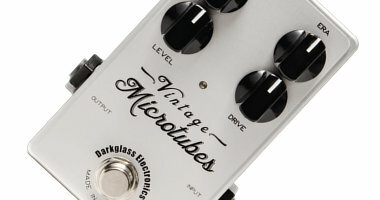 In total, you have 2 gain, 2 level and 1 master volume knobs that all represent a gain stage. I usually don’t focus that much on noise in these reviews, and I am not fanatic about it. 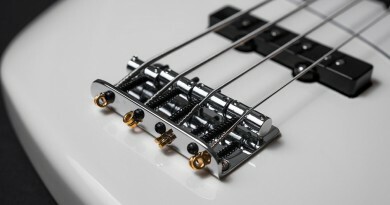 Any circuit may add a bit of noise and if you are extremely senseible to this, going straight from your bass to the amp is probably the solution. Also, this is not the only case I have found a bit of noise in a pedal, but it was a little more pronounced, so I felt that I had to at least mention it. Try out the pedal, and it may turn out not to be an issue at all for you once the groove begins. 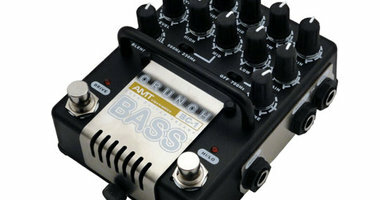 Today (2015), the AMT BC-1 Bass Crunch retails at around $230, which puts it at the medium-high end of the price range. Value per knob is probably pretty good, but at the end of the day, knobs are not everything. Overall, I think it represents a fair amount of value for money, but without being an insane bargain. 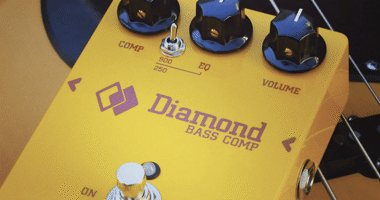 In theory, the Bass Crunch is the perfect clean preamp and drive pedal. In reality, there a few hiccups such as no bypass option. But then again if you love that clanky Ampeg-ish vibe and want that as an always-on feature, you’re in good hands with the BC-1. It also does have a certain drive character that I like a lot.